Seriously, Rimmel? Why do you cheap out on us in the U.S.? WE KNOW YOU CAN GET THE PUMPS. As long as this doesn’t break me out, this could become my less expensive replacement for MAC Studio Fix Fluid. 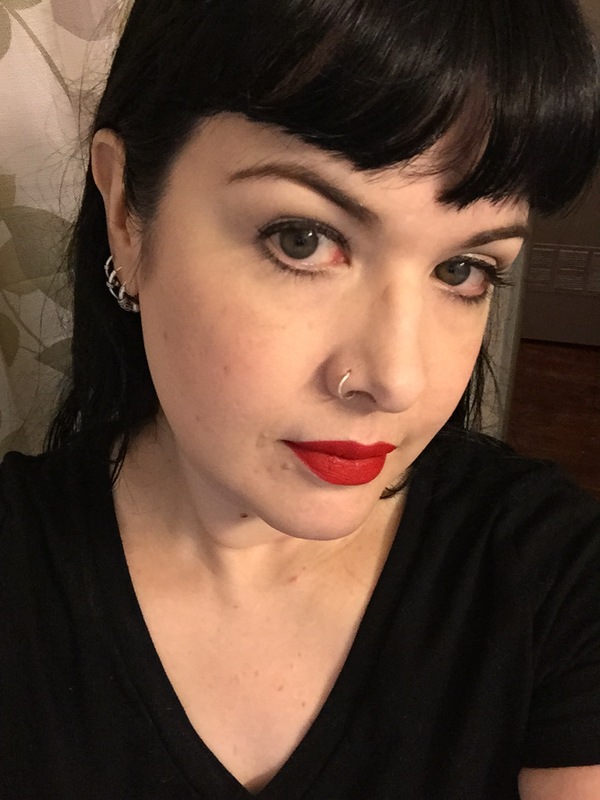 I’ve been looking for something that doesn’t dry my skin out as bad as Studio Fix Fluid (which I cannot even wear in the winter) and has a slightly more satin finish. This has that beautiful satiny look once it sets. It supposedly has a “comfort serum,” and I can attest that it’s not drying and doesn’t make my face feel tight. 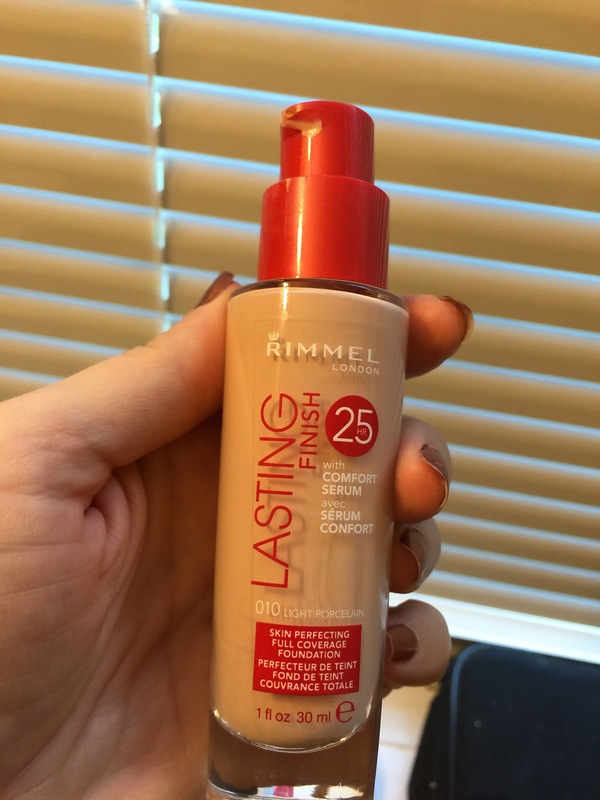 This foundation is a similar shade to NW10 and has more coverage. It’s definitely buildable and blends easily, which is nice. 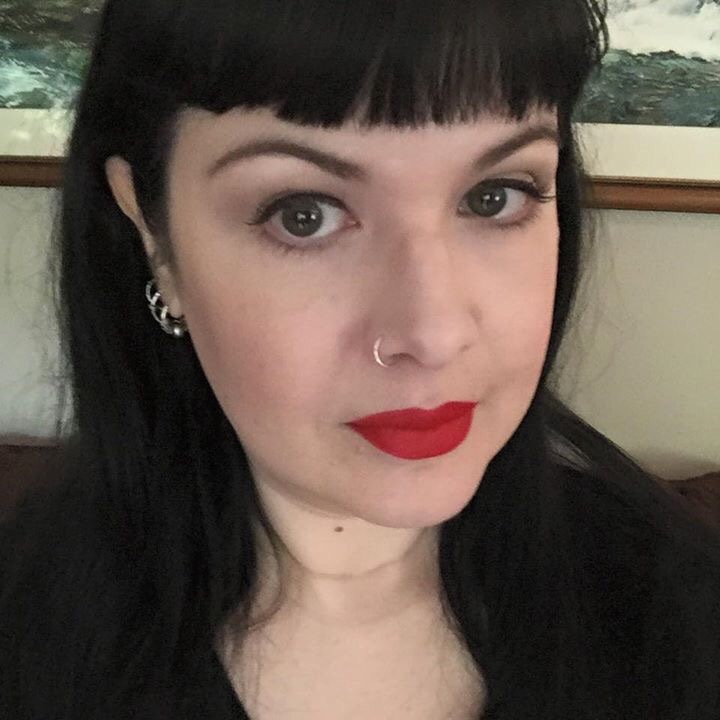 I was able to blend a cream blush flawlessly over this with ease! Most long wear foundations are hard to do that with, as they dry to a very powdery finish. I set this with a loose powder (a super light dusting of MAC Set Powder) and it just looks beautiful. I am wearing it quite full here, but it could be sheered out, too. This does have a light fruity fragrance, but compared to most long wear foundations that smell like paint, I think it’s quite nice. Between the bottle, the feel, and the look of the product, it seems like a higher end product. Ok, fingers crossed for no reactions or breakouts or dehydration, etc. I will certainly keep you guys posted! American folks, if you don’t want to get this on eBay or Amazon, I have heard this is also carried on Asos! This entry was posted in beauty blog, beauty blogger, Foundation, Makeup, Makeup, Makeup of the Day, makeup review, Reviews and tagged beauty, beauty blog, foubdation, liquid foundation, long wear foundation, makeup, pale foundation, pale makeup, pale skin, rimmel foundation, rimmel lasting finish by Rachel. Bookmark the permalink. One-half of the brains behind abadhomance.com here on Wordpress!